How could it be about you? 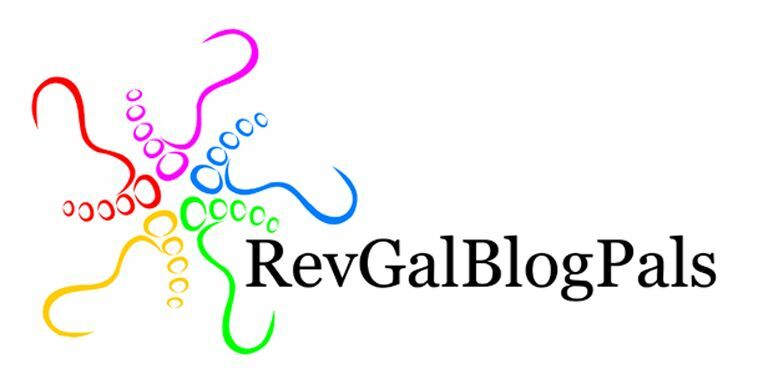 You, the Rev. John Dorhauer, have been nominated to serve as the next President and General Minister of the United Church of Christ. The search committee checked you out. People commenting on the press release are singing your praises. I don’t know you; they do. I cannot deny your qualifications, your engaging personality, or your valued contributions to the UCC all these years. Surely, you will serve faithfully. You are going to be the face of the UCC! And, you know, nice face, but I just didn’t want to see your particular face. Not this time. I notice things. Details. Telling details. Like the fact that your search committee co-chairs were Bernard and Kent. And now, as the UCC’s new General Minister and President, you will step into the big (boy) shoes that have been filled by Fred, James, Ben, Robert, Joseph, Avery, Paul, (the other) John, and Geoffrey. It’s not you. It’s not even me. It’s us. All of us. 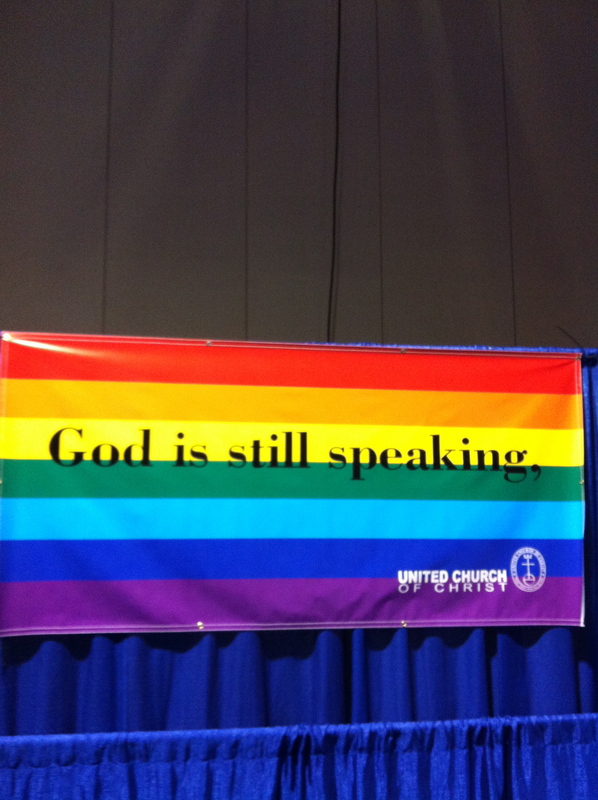 We call ourselves the “God is Still Speaking” denomination. Yet, in our 58 years of listening, how can it be that God has not yet been heard speaking the name of a woman to become UCC’s General Minister and President? 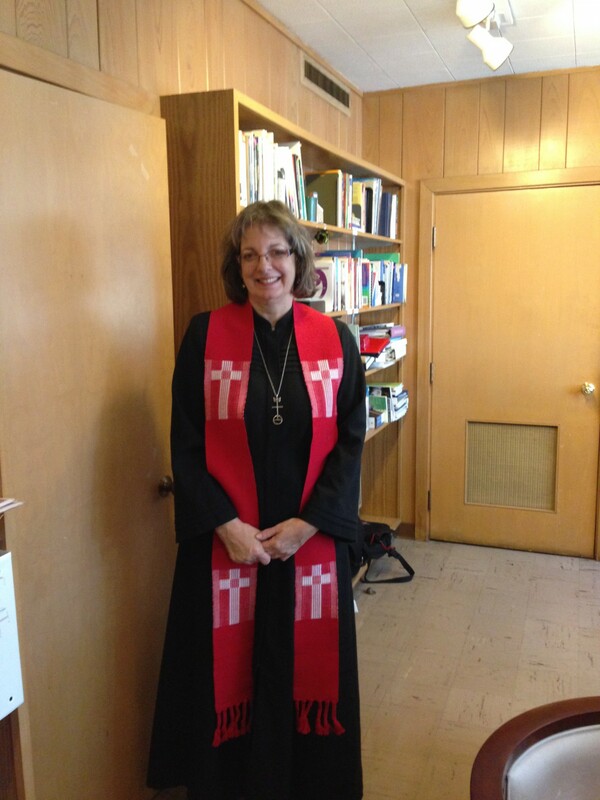 We claim as a “UCC first” Antoinette Brown, the first woman ordained to Christian ministry since New Testament times. In the 162 years since then, how can it be that no UCC woman’s seminary education and “career path” has qualified her to be chosen by Bernard and Kent and company? Really, it’s not you, John. You were chosen by a process that belongs to all of us. The women who were in the same “pool of applicants representing the broad diversity of the UCC” (Bernard’s words) must not have had what you have. Do you ever question how we got to this point in our relationship? One of us is constantly reassuring the other: “There is no longer Jew or Greek, there is no longer slave or free, there is no longer male and female; for all of you are one in Christ Jesus.” [Gal.3:28] Are you saying that it’s all the same if the face of the UCC has always looked like only one of us? Have you noticed whose face is missing? It’s not you. It’s us. All of us. Did you notice what was missing with Bernard and Kent co-chairing that committee, or did that look just fine to you? Will it seem like business as usual to join a UCC collegium that will be (at least) 80% male and (at least) 80% white? So, now you have been chosen — by us, through us — a man about to serve in a coveted role that some women were also called to and were ready for. Kent and Bernard, et al., looked into that diverse pool and saw only one “best catch”: you. Many of us had been waiting with hope for something new beyond the comma. You are now the face of a system that has failed many women in many ways. Did you know? John is a straight white male. He has a whole lot of unearned privilege going on in that embodiment of his. And he knows it. He knows that it is unearned. And he also knows that the most worthwhile thing that he can do with his unearned privilege is to use his voice to advocate that the voices of those on the margins are elevated and heard. I was a young lesbian woman, early in my education, trying to figure out the meaning of this odd and wondrous calling to Christian Ministry. And he was there. The whole way. I always thought that John treated me as a equal. From the very beginning, I felt that he treated me as an equal. I said this one day, and he clarified. He never saw me as an equal; he always saw me as a superior. He saw that he could learn just as much, if not more, from me. And so, all along my path, he has advocated for my voice. I know, that if given the opportunity, he would advocate for your voice too. I love John. I am honored that I can call him a mentor and friend. Change won’t come from silence. Way to use the power you have! You’re right Sharon. It’s clearly an institutional thing that the institution is denying. I agree. The time for a woman at the helm is beyond due. And having two men as the head of the choosing team is beyond abhorrent; it speaks clearly the sexism that lingers beneath the glass ceiling. And. I do know John. He and I attended seminary together. We sat in classes together and chatted over potlucks on Monday evenings. His kids and mine are the same ages. We’ve stood side by side in a couple of protests. Let me tell you about the John Dorhauer I know and love. John is one of the gentle giants of this world…. until there’s an injustice; he has worked endlessly for equal rights for all — color, gender, identity, ability, race, ethnicity, health, economics, faith. You name the source of discrimination or injustice, John has been on the forefront of working against it. John is an eloquent and profound speaker. He has hosted a weekly radio show in Phoenix that has promoted the “religious left” positions on issues. He has written an excellent book that names the steeplejacking process being utilized by certain radical right wingers to take mainline churches down. He has been on the front lines in Ferguson and at the border with Mexico speaking on behalf of those of us who cannot get there. He has been a leader in provoking change in statehouses. He has worked hard to crack glass ceilings in churches and elsewhere. John is an awesome father to a very special daughter and an equally special son. He’s partners with an awesome woman in the journey to raise these now young adults. He’s an avid baseball fan and a biker. And a tree hugger too. Yes, I am disappointed that the UCC had not yet had a woman at the helm. And, if we have to have a male, I know no better man for the role and the call than John. Susan, Thank you for voicing your concerns and speaking to this topic. And yet, John is the candidate, and John, if and I personally hope when he is elected, will do an excellent job. believe John will actually be quite sensitive to issues of race, gender, nationality, different abilities and sexuality and who is missing at the table. I’ve worked with John on the Board of the Center for Progressive Renewal and believe he will do an excellent job for our denomination as he is a visionary leader. And perhaps, as has been the case in my own experience, this straight, white male may well be able to advocate for women and change the playing field in ways that will be truly transformative for all those who are marginalized by the system, as well as make the way for the next UCC GMP who will likely be a woman, person of color or LGBT person. I agree with you. It is not just about John . . . it is about us, all of us and all that we will do together in the next four years and all that we will be called to do as we search for the next GMP for the UCC. Thank you, Jo. And I’m Sharon, not Susan. It’s been awhile, but we met in person at that Brian McLaren thing in Dallas last spring and had a couple of really wonderful conversations. Truly, there is every reason to believe that John D. will serve fabulously as the next GMP. Still, how can we say that the GMP after him will “likely be a woman, person of color or LGBT person”? After 3 men were nominated to fill 3 collegium positions at GS 28, it seemed very “likely” that a woman would be chosen for the next collegium vacancy, but no. And now, it seems “likely” that a woman could very well be nominated to follow Linda Jaramillo; otherwise, there will be an all-male collegium. But what if the (truly) best candidate for that is male? That is quite the corner we’ve backed ourselves into, IMHO. I will support John and anticipate good things to come. I cannot see as “good enough” the UCC systems, settings, and the processes that produced yet another man as the only best GMP nominee. This was forwarded to me by a UCC clergyperson. In my opinion, I really don’t think it matters if the new Presiding Minister is John or Jane. The denomination does not follow its own edicts, and the member congregations certainly don’t. The best thing John could do, if he truly cares about the issues, as those of you who know him says he does, is to refuse the nomination and/or election. To our UCC friends: This a truth not to be denied! Thank you, Sharon. This is incredibly disappointing to hear. Not that Rev. John, who I’m sure is a wonderful minister and will do a fantastic job, was chosen. But 58 years without a female president and a collegium that is at least 80% male and white??? Those are the same ratios in Congress, which I’m sure many would agree is abysmal. My husband and I left our UU church for, among other reasons, not walking the talk. We have been considering UCC, but I must confess I am now having second thoughts. I do want to add a comment. God has indeed put a woman’s name forward in nomination for the position of General Minister and President of the United Church of Christ. Barbara Brown Zigmund was nominated in 2000 and all of the instrumentalities of the church at that time had to approve her nomination to General Synod. Two of the instrumentalities voted not to approve: the Coordinating Center for Women and the Commission for Racial Justice. All of the other instrumentalities voted in favor. That said, John Dorhauer is a gifted man with a passion for justice and a love of the church. “God is Still Speaking?” I thought He had already spoken. I thought He spoke in His Word, the Bible? I came across this web site by accident. Is that a banner is see promoting homosexuality? I thought homosexuality was a sin, just like stealing etc? I thought God spoke about it rather strongly, particularly in Romans Chapter 1? Silly me. Ps John Dorhauer (Australia) Yes same name!